Military Veteran Solutions | Honor. Integrity. Trust. 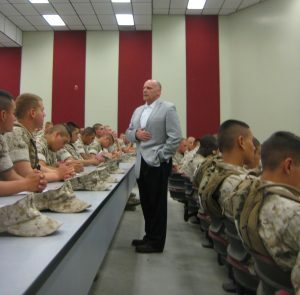 Military Veteran Solutions, Inc. was founded by retired Marine Sergeant Major Frank E. Pulley to connect honorably discharged veterans and transitioning service members with highly reputable educational, job training and job placement organizations.Hundreds of thousands of service members leave the military every year. In spite of various well-intended transition programs and the efforts of countless caring people and agencies, many veterans still find themselves unprepared when they leave the service.Military Veteran Solutions is rapidly becoming a preeminent leader in assisting top level businesses with their military recruiting strategies. In just a short amount of time, we have assisted in the training and placement of hundreds of transitioning military personnel within major industries across the United States. By creating a military to civilian pathway, we help veterans with their transition efforts and at the same time we assist companies increase their visibility, awareness and overall presence in the military community. Businesses also attain a quality workforce with a historically low attrition rate. As a result of this collaboration, Military Veteran Solutions is extremely proud to help reduce the unemployment, underemployment and homelessness rates of veterans across the USA. Frank Pulley is completely trustworthy, this is a man of staunch character and unfaltering integrity. He was always taking care of his Marines. Veterans are fortunate to have Frank Pulley in their corner.